With almost all colours covered, you will be able to style almost any party theme. 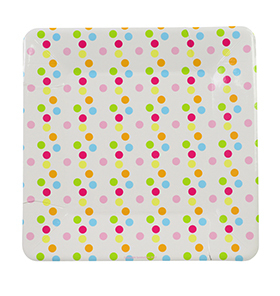 Premium quality square paper plates, with a gorgeous gloss finish are perfect for all ages - grown up events, birthday party tables, dessert buffet, picnics or BBQs. These timeless designs suit many occasions and themes, and tie in perfectly with co-ordinating party accessories.